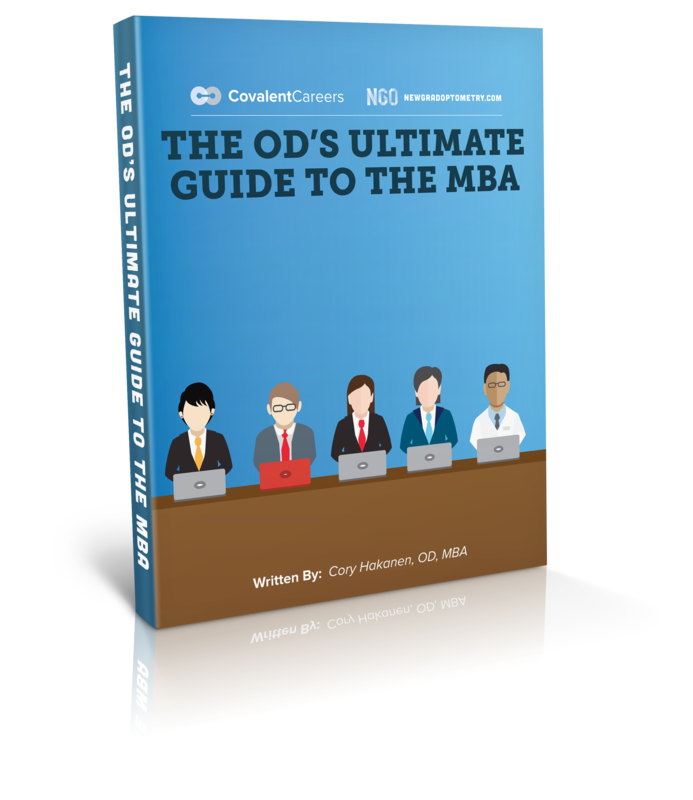 This 11 page ebook will help you determine if an MBA is right for you, and how to go about obtaining one that will provide you with the best return on investment! What is the main reason you want to get an MBA? Career pivot? Getting a job in industry? Running a practice more efficiently? Each reason can impact what kind of program you should consider. Like anything else, you need to understand your ROI. What will this cost you in both education costs and opportunity cost? Is it worth it? Once you've determined the "why" it's time to choose a program that will help you achieve your goals. Some programs require standardized test scores - we'll walk you through it! Now that you have your MBA, what's next? What kind of jobs can you obtain now and how do you go about finding them? "Getting an MBA as an Optometrist is a great way to complement your clinical skill set with a business one, which helps round out any doctor's professional proficiency." There are a number of reasons why optometrists and other doctors pursue an MBA degree. Some experienced ODs want to boost their business acumen to help grow their practices. Young optometrists may want to supplement their clinical training with some business training in order to jumpstart their own practices. Then of course, some optometrists might be seeking an alternative career pathway that combines both sets of skills, or a career in an entirely different field! The most important thing is to clarify why you want another graduate degree, what your end goal is, and what you hope to accomplish. Once you can answer these questions without hesitation, you’re ready to dive in and choose the best MBA program for your goals and desires. There are many different types of MBA program formats. You need to understand how each format is different and how the format fits into your current schedule. You are also going to need to determine if you are going to continue working full time while obtaining your MBA, or cut back to part-time. Traditional – In-person program that typically takes 2 years to complete with classes held on Monday through Friday. Often three years of post-undergrad working experience is needed to apply. Some schools offer an accelerated 1-year program as well. Nights & Weekends – Classes are held in-person, on weeknights and Saturdays. This option is good for those working professionals who wish to continue working full time. These programs last from 2 to 6 years, often because a student determines his or her own pace. Online – The newest format. These programs vary across the board and can take between 2 to 6 years to complete. Some programs are excellent, offered by prestigious institutions, while others are offered by programs of ill repute. You really need to be careful when choosing an online program. Executive – This is a hybrid program, usually for skilled professionals. There is marked variability across these programs, and they vary in timeframe, cost, and commitment level. Usually, the purpose here is to offer an expedited track for experienced professionals to get their MBA degree. Timeline – Obtaining your degree can take from 1 to 6 years! Cost – From my own experience, you can expect to pay from $20,00 to 170,00! Three's marked variability in costs - so you will really need to do your homework when it comes to choosing a program and determining your ROI. Location – Are you willing to relocate? Or is online the only options for you? Did you check with your local university to see if they have an MBA program? Face time – This can be extremely valuable. With online programs you will forfeit this. Is that okay with you? Accreditation – The “gold standard” for accreditation is an AACSB accreditation. After this comes ACBSP and IACBE accreditations, which hold less weight and focus on different aspects of a program. Do your research – just because a school claims it is “accredited,” it might not be the accreditation you’re after. Concentration – This goes back to your career goals. You can pursue concentrations in areas such as Entrepreneurship, Marketing, Finance, and Healthcare Administration. Programs that do not offer concentrations are not bad programs. GMAT – Yes, many programs require you to take the GMAT. The GMAT is a computerized exam that tests your critical thinking in writing, integrated reasoning, quantitative analysis, and reading comprehension. Good news, however! Many programs also let you opt out of the GMAT if you have a number of years of work experience. Don't fret - you are more than capable of handling classes in these areas of study, even without an official prior business experience. Hard work and working with others in your program will be enough to get you through! 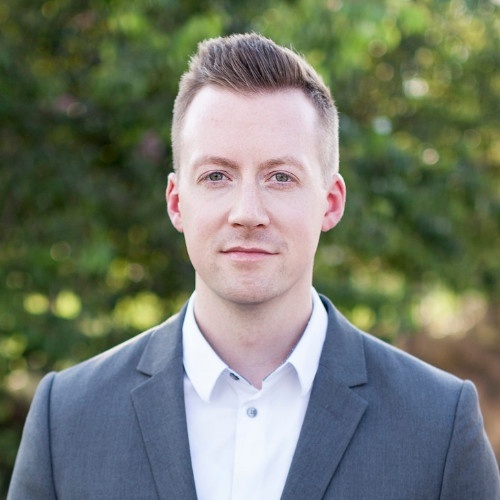 I share my entire story from start to finish in the ebook; however, I will tell you that I ultimately decided to pursue a 1-year Accelerated MBA program for very specific reasons. I sought a quality program that wouldn’t break the bank, so I looked at reputable yet affordable programs near the lower end of the cost spectrum. I created a financial plan to support myself throughout schooling. I searched for schools primarily in the San Francisco Bay Area because my goals were to immerse myself in the medical device and biotechnology environment of Silicon Valley. I narrowed my search to 5 schools and reviewed admission requirements. Note: Having the credentials of an OD usually checks off most of those admission requirement boxes. I did need to take the GMAT for several of the schools, so I bought preparation guides, did several practice exams, and took the test after studying for a few months. While going through the program, I decided to continue patient care one day per week between a private practice and a corporate office. This helped keep my clinical skills sharp and earn some money to keep me afloat. I did find an opportunity working part-time with a medical device company during this period which helped me tremendously after graduating. Increased Salary vs. Opportunity Cost - This is a major factor and something discussed in-depth in the ebook to provide you with some considerations and viewpoints. So What Kind of Jobs Can You Obtain Now? Job hunting is not easy. Optometrists are fortunate enough to have an excellent platform like CovalentCareers.com 😎to help them in the search; however, in the professional world outside of optometry, things are a bit different. If your goal is to pivot your career using an MBA, get ready to take on the world of professional job hunting and face some other types of challenges. Note: For more information on how to craft a resume, check out The Resume Writing Guide for Optometrists. Although applying to job postings is important, it is often the least likely way to get a job offer. Try networking, getting an inside referral, volunteering, or being promoted or transferred from within a company to transition into your dream job. Most importantly, it will probably take longer than you expect, so be persistent and keep your chin up!